First of all, Happy Birthday to me. All kidding aside, what was I thinking running my first 40 mile road ultra marathon on my thirty-ninth birthday? Well, I just thought it'd be cool. Richard and I took the short drive from Huntsville, AL up to Wartrace, TN and made it there in a little over an hour just in time for the pre-race pasta dinner and to pick up our race packet. RD Mike Melton welcomed us at the packet pickup tent. He had been sending multiple event updates via email to keep us informed of the latest developments. This was just one of the examples of how well run this event is. Receiving the race t-shirts from Mike was accompanied by the words "real men wear pink." The picture above explains why. 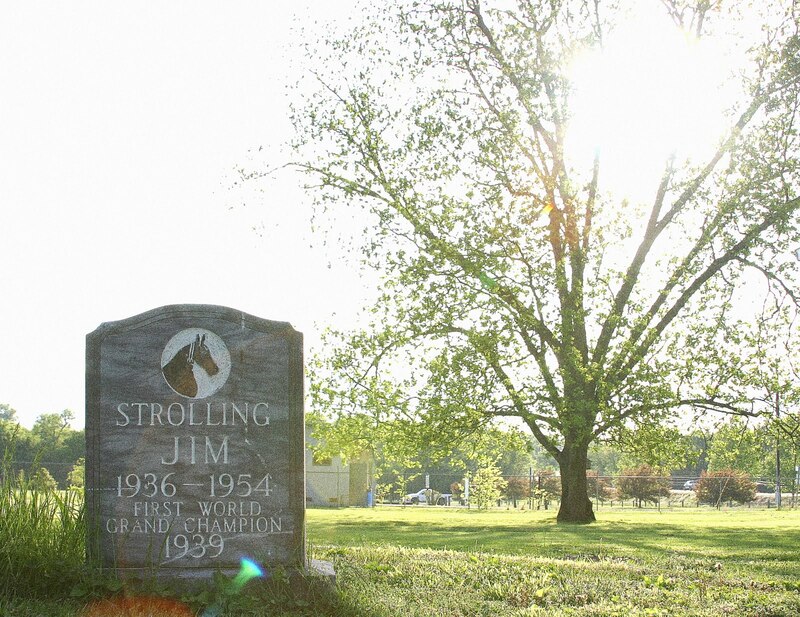 After the pre-race dinner and a quick chat with some fellow runners and a visit to Strolling Jim's grave site (see picture below) behind the Walking Horse hotel which was the site for the pre-race dinner, Richard and I headed back to Huntsville to get a good night's sleep. At least that was the plan. As usual, I did get the pre-race jitters that have plagued me before every major race. But that's all part of the fun. I woke up at 4:15 AM to get ready. Did I say woke up? I meant I was ripped out of my dreams by my BlackBerry alarm clock that seems to get more annoying with every morning. 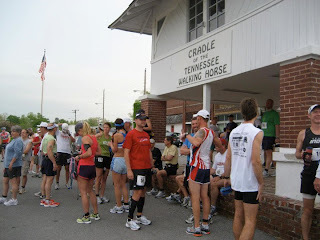 After my pre-race cup of coffee, I left the house to pick up Richard and we left his house for Wartrace shortly after 5AM. Even with my Garmin, I managed to miss two turns. Anyway, we finally got there 30 minutes before the start of the race, plenty of time to double-check our gear and our three drop bags. These drop bags would be placed at miles 13, 21, 29 and 35. I placed a pair of broken in running shoes as well as a dry shirt along with a couple of sandwiches in the first drop bag that would be placed at mile 13 and later moved to mile marker 35. In addition to the sandwiches, I also placed some gels, bananas and Pepsi's in the other drop bags. These would provide nice picker-uppers in the latter stages of the race. 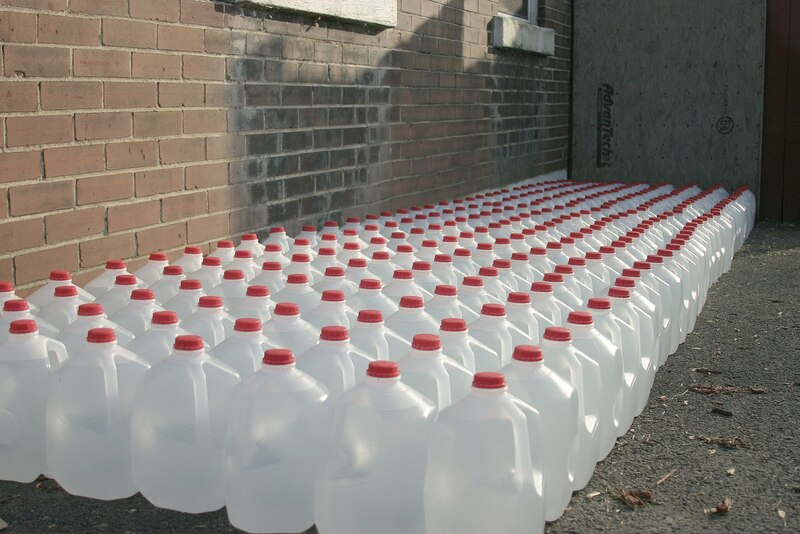 The picture above shows the supplies that would later be placed along the course every 2 miles or so. While I calculated that I would need about one bottle of water every hour on the course, the high humidity of the day made me rethink and change that strategy to a 30 minute refill schedule three hours into the race. 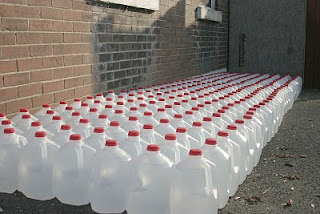 Thank god for these water gallon jugs...or as my running buddy Richard put it: "Tap water. The official drink of the Strolling Jim". Just before the race started, I had a last chance to chat with some of the more experienced runners before embarking on a new running adventure. The picture above (courtesy of Robert Lewellen's Facebook page) shows Dink Taylor assuring Richard and I that the hills really are not that bad at all. Yeah, right! More about that later. Some runners almost did not make it to the starting line. 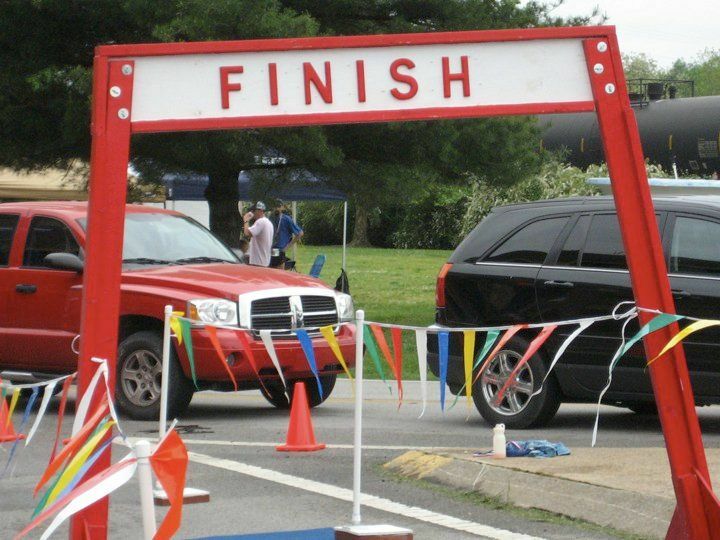 They missed RD Mike's warning of a train passing through shortly, preventing runners from crossing the railroad tracks in time to get to the start line. Luckily, the train passed through just in time for the 7 AM start and all runners toed the starting line to hear the famous conch shell signaling the start of the race. As we approached the first turn just yards after the start, the road out of town started with an incline. Surprise, surprise. It was definitely a sign of things to come as the course consisted of rolling hills, all the way. RD Mike was kind enough to place some "inspirational" messages on the actual road course. Thankfully, he used spray paint. Otherwise, the back packers would not have had the benefits of these motivational messages as the rain would have washed them away. I later realized that that might not have been a bad thing as I learned a lesson from experienced ultra runner Bill Keane, who I was lucky enough to run with the later part of the race, to "never believe anything an ultra runner tells you". This lesson clearly referred to some (not all) of the messages that were so lovingly painted on the road. The first such inspirational message I recall appeared in front of me as I was climbing the first hill. It read as follows: "THIS...IS...NOT...A...HILL". Clearly, RD Mike Melton had all of our well being at heart making sure we did not fall for the illusion that this first "hill" we came across clearly was not to be mistaken for an actual hill. He reassured us again on the next "hill" that "THIS...IS...NOT...A...HILL...EITHER". Well, I am a foreigner in this country and while I learned most of my vocabulary in school in Germany, I am always eager to learn and improve my language skills, and Mike certainly did his part in my education. He did teach me the definition of an actual hill as we climbed the next incline of the road. His message read "BUT...THIS...IS!". OK, great, now I do know what an actual hill is. But what do you call the things I came across before we reached this hill? Anyway, on we went and the weather could not have been better. At least considering the fact that we were supposed to be battling the elements in form of strong thunderstorms, lightning, strong winds and torrential downpours for the entire day. Instead, we experienced only about 30 minutes of rain on an overcast day. Quite frankly, I could have done with some rain towards the end of the race. The humidity was quite high. It was during this section of the race, that Richard and I re-evaluated our goals for the day. Apparently, Richard didn't feel as strongly about targeting a sub 7 hour finish as I did. Come to find out, his "nodding in agreement" as I was laying out my race strategy during some of our recent training runs preceeding this race was merely his subtle effort to keep me from talking. Note to self, get verbal confirmation on race strategy in the future;-) In any case, Richard and I were well on target for a sub 7 finish (or so I thought) as we approached the half marathon mark and aid station, allowing us to access our drop bags for the first time. I now had to decide to either change shoes or continue on with the new, larger sized shoes I had opted for at the beginning of the race in order to correct issues I have had in the past with multiple blisters. The larger shoes worked fine. I also had no issues with the Injinji socks I wore for this distance for the first time. As a result, I only chose only to pick up one of my premade prosciutto sandwiches and walked out of the aid station, enjoying that sandwich. We had reached this aid station in less than 2 hours and felt confident that we might have a shot at that sub 7 finish, if we could maintain something about a minute slower than our current pace. While I had no problems digesting my sandwich and washing it down with some Nuun electrolyte water, Richard was not so lucky. He had decided to use our Pepsi treats early and that little bottle of soda paired with his PB&J sandwich seemed to be too much for his stomach at this point in the race. Our pace slowed to a walk in an effort to get his stomach to settle. At mile 17, Richard sent me on my way to try to break 7 hours. I was feeling bad leaving him behind, but he has much more experience running ultras than I do and I figured he'd catch me later in the race anyway as I was crashing and burning. Thankfully, that never completely happened, only partially. The picture below was taken by Richard after we parted ways and shows just how beautiful this race really is. You just have to take the time to pick up your head. I mostly ran this section by myself. I also seem to recall Margaret Curcio blowing by me with no effort whatsoever around mile 19. It happened so quickly. It was kind of a "now you see her, now you don't" moment. And after running the Umstead 100 Miler just a few weeks ago she just missed the sub 7 hour mark. That's just incredible. It was also during this stretch right after the second major climb around mile 20 and before the marathon mark that I briefly had the opportunity to meet and thank Christian Griffith for his race reports he puts out at his ultra running blog at Run 100 Miles as he was passing me at the second drop bag location at mile 21. I came across his blog while googleing for interesting ultras to run and I have been following his blog and race reports ever since. After mile 22, a long and steady incline marked the third major hill of the race. I was still feeling pretty good and maintained a decent pace, but I lost a little time approaching the "peak" near mile 25. However, it was a steady decline from here for the next 4 miles and I was able to keep it steady. I reached the marathon distance mark after 4 hours and 25 minutes, still on target to finish the 40 miles in less than 7 hours. For some reason, I continued to use 40 miles as the total distance rather than the official 41.2 distance. Either way, I continued on my merry way to reach the finish. I figured only a half marathon to go, that shouldn't be too bad. As a continued to run, I started to think about the infamous "Walls". Not sure what to expect, I hoped for the best and prepared for the worst. Just as I came around another turn around mile 29 or so, I spotted another RD message to the runners: "The Walls". The picture below shows the house located right at the turn that takes you to the Walls (courtesy of Richard Trice, my running partner in crime). So there they were, didn't look to bad. Actually, I thought that this couldn't be that bad if the Walls continued as they started, which was a rather small incline in the road. Boy, was I wrong! Luckily, at was at this point in the race that I met another great ultra runner, Bill Keane. While jockeying back and forth with Bill and another ultra runner for about half a mile into the Walls, I decided to try to stay with Bill for as long as I could. My body was starting to feel the wear of the road and I really needed something or someone to push me at this stage. Thankfully, Bill felt the same way as I appreciated the fact that we were able to push each other ever so slightly for the remainder of the race. Quite frankly, it was obviously Bill pushing me but I appreciate him suggesting that my presence was helping him, too. 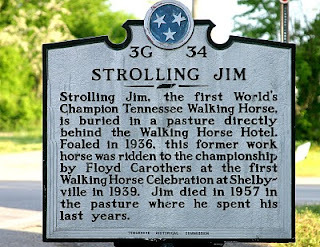 While I am not very good at remembering exact quotes, Bill certainly taught me a lot about this race in particular as well as ultra running in general over the next 12.2 miles. It is not often that a beginning ultra runner like myself gets the opportunity to pick an experienced ultra runner's brain during the actual race rather than before or after, and Bill was certainly willing and able to provide tons of interesting information about each section of this race, ultra running in general and ultra runners themselves (and their trustworthiness...or lack thereof, which I will explain later with another inspirational message I read on the road after exiting the Walls). It was absolutely great to listen to Bill's stories about some of the runners participating in this event and about their storied ultra running lives. Just four or five of the runners Bill mentioned (him included) combined for over 1000 ultra marathon finishes between each other. That is just a mind boggling thought to me. We passed the 50K mark still feeling pretty good. Only later did I realize that I got an unofficial 50K PR as I crossed the 50K marker after 5 hours 26 minutes. As we were reaching the end of the Walls, Bill continued to provide excellent feedback about what to expect from each upcoming section. This is also were I learned that not every "inspirational" message left on the road should be taken too seriously. Such as the message "NO...MORE...HILLS". "Really?" I uttered excitedly and naive as I am to which Bill responded "No, don't ever believe anything an ultra runner tells you!" Not 10 seconds after I read that hopeful message did we approach the next non-hill. Oh, the joy of ultra running. As I reached the final drop bag location I chose to only grab a gel and some more water. I was no longer interested in sandwiches and I was still taking in gels every so often to stay properly fed and cramp-free. In all honesty, the main reason for my quick departure was the fact that I really wanted to stay with Bill and keep the running rhythm going. While we did walk the hills and run the downhills in the Walls, we maintained a pretty good pace. I knew if I could stay with Bill I would be able to have a solid finish. However, the Walls had taken a toll on me and I started to realize that without a 10K or 5K PR at the end, I would not be able to reach that coveted sub 7 hour red shirt. Especially considering that the 5K mark seemed to be more than a 5K from the finish. Maybe it was just the inaccuracy of my Garmin but the last 5K felt much longer to me. Since I knew that a 5K PR wasn't going to happen, I fell back on my secondary goal of finishing strong in a respectable time and come back next year to get that shirt in my second try. 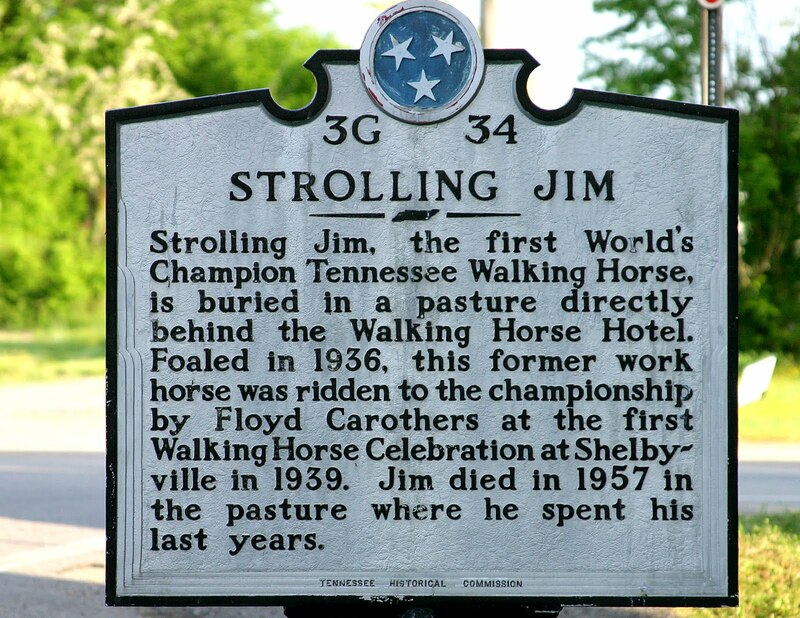 I take pride in finishing my very first "Strolling Jim 40 Mile Run" in 7 hours 21 minutes and 40 seconds and to be able to cross the finish line with such an experienced and accomplished ultra runner as Bill Keane, who was so willing to share his knowledge and stories with me during this race. And this last comment is in no way related to the fact that he shared an ice-cold beer with me right after we crossed the finish line, I promise! 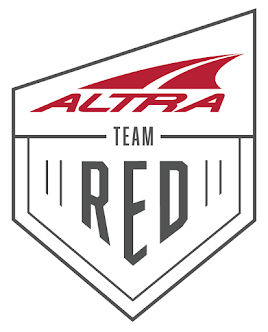 First, I would like to thank RD Mike Melton and his fantastic group of volunteers that manned the various aid stations and took care of each and every runner's needs. It was a great event and I will definitely be back next year. Second, I'd like to thank my running buddy Richard Trice for being the sport that he is and signing up for this race to help me train for my 108k race next month. Thanks, buddy. Third, I'd like to congratulate this year's winner Valmir Nunes from Santos, Brazil, who truly proved to be a "Giant Killer" as his occupation had warned everyone before the race;-) Third, congratulations to a couple of local runners from Huntsville, DeWayne Satterfield and Kathy Youngren for winning the men's masters and women's open divisions, respectively.Very impressive.